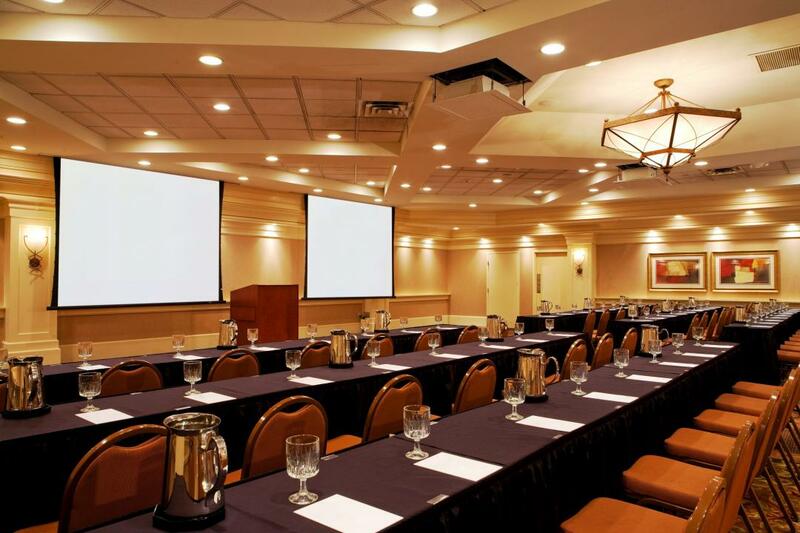 Red Lion Hotel Albany is perfect for your upcoming business or leisure travels. 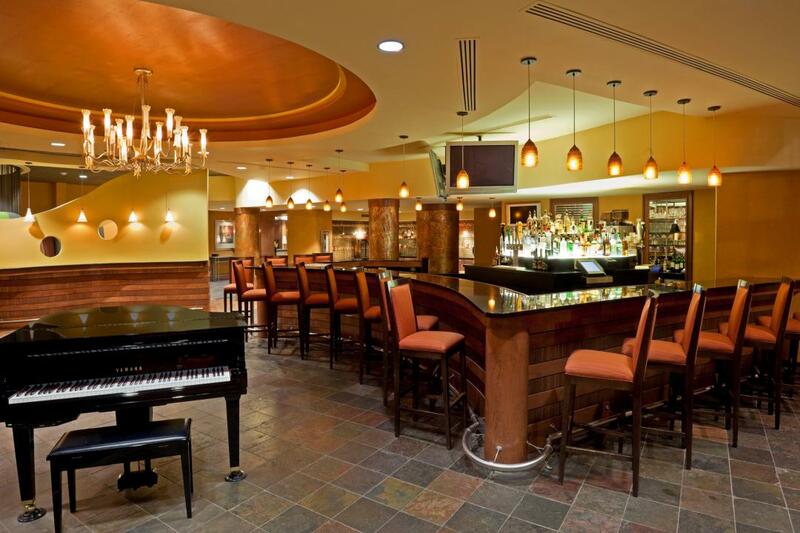 Experience the casual atmosphere in the Grille Restaurant off the main lobby or unwind with your favorite cocktail in 205 Wolf Lounge. Whether you're lounging beside our indoor/outdoor pool, exercising in our onsite fitness center or working in our 24-hour business center, let the Red Lion Hotel Albany make your next stay the perfect one. With 22,000 sq. ft. of versatile meeting space, catering services, and the complimentary high-speed Internet as well as being positioned in the heart of Tech Valley near General Electric, hospitals, and acclaimed universities, the Red Lion Hotel Albany is perfect for your upcoming travels. At Red Lion Hotel Albany, you can enjoy a convenient stay with services like complimentary parking, free high-speed, wireless Internet and a 24-hour business center. Our free shuttle service takes you to destinations within two miles of the hotel, including Albany International Airport (ALB). 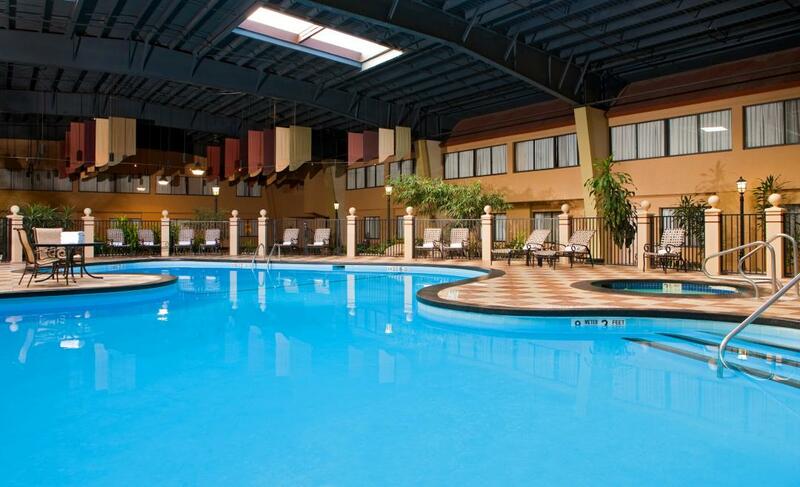 We also offer amenities that help you unwind and recharge, like our indoor and outdoor pools and our hot tub. After your flight into the Albany airport, refuel with a meal at the Red Lion. Whether you're looking for breakfast, lunch, dinner, or just drinks and snacks, you can find it at either The Grille or 205 on Wolf Lounge. Prefer to dine in your hotel guestroom? Just call room service with your order, room service hours are daily from 6:30 am-10 pm. If you would like to step out and dine we have an array of dining options near the hotel, just hang a left on Wolf Road from our hotel to find the below restaurants or ask us for directions. Enjoy the relaxed atmosphere of 205 on Wolf Lounge. We offer a fine selection of beers on tap, as well as a wide selection and varietal wines. Watch your favorite games on our flat screen TVs located around the lounge. Serving dinner daily or just a quick appetizer. Sit back and relax on our outdoor patio during the warmer months overlooking the outdoor pool. We offer a casual American and continental cuisine in The Grille Restaurant, located off the main lobby, serving a breakfast, lunch and dinner menu. A Breakfast Buffet is offered every Saturday and Sunday morning from 6:30 am - 12:00 noon. A large variety of hot and cold breakfast and brunch items to include made to order omelet station. If you're planning an event in Albany, NY, you can trust Red Lion Albany to handle it. We have more than 50 years of experience with event planning and catering, and we're eager to continue that tradition for your special occasion. With a 22,000 square-foot venue that can hold up to 800 guests, we can help you host a grand wedding reception, conference, tech seminar or social event. Thanks to our group rates for room blocks, your out-of-town guests can enjoy a more affordable stay. The Red Lion Hotel Albany is just 5 minutes from Albany International Airport and within driving distance of nearby shopping centers, Albany restaurants, golf courses, and the Saratoga Race Track, making this Albany hotel perfect for a relaxing New York weekend getaway. With downtown Albany only 12 miles, travel to the Capital City to see events at the Times Union Center, Palace Theatre, Saratoga Performing Arts Center, and more! Located in the heart of Tech Valley near General Electric, hospitals, and acclaimed universities, the Red Lion Hotel Albany is perfect for your upcoming business or leisure travels. With more than 100 stores, a food court, a movie theater and a family lounge area, there's always a reason to visit Colonie Center. Browse your favorite stores after watching the latest blockbuster in the IMAX theater at Crossgates Mall, the largest shopping and entertainment complex in Albany. Explore downtown Albany’s wide range of restaurants, shops, special events and entertainment, including the year-round City Art Fair series and Angelo’s 677 Prime steakhouse, one of the top restaurants in the city. From Broadway and comedy shows to film festivals and concerts, this historic theater offers exceptional entertainment for all ages. Known for its groundbreaking archaeological research, this fascinating museum tells the story of New York’s past through art, science, and history. While the theater is local, the entertainment is world-class. Visit this historic venue in downtown Albany to see ballets, concerts, and comedians. Featuring top performers like Alan Jackson, Jeff Dunham and Jim Gaffigan, this event center also hosts basketball games, ice shows, and monster truck rallies. Spend a day at Saratoga Race Course cheering on your favorite horse or touring the more than 150-year-old facilities. Escape to this Six Flags theme park for thrilling coasters and water rides, shops, dining and live entertainment that the whole family will love. Descend 156 feet into the corridors of Howe Caverns, where you’ll find imposing stalactites and an underground lake. Take your adventure a step further with zip lining, ropes courses or rock-wall climbing. Get your tickets for a dinner cruise, moonlight cruise or eco cruise aboard one of the restored steamboats on Lake George. Experience the Adirondacks in Northern New York. There are many areas of the Adirondacks to choose from to explore; Tug Hill, Lake Placid, Lake Champlain and Malone Region to name a few.